RACING: The Rockhampton Winter Racing Carnival is certain to rocket into spectacular action on Tatt's Sprint race day next Friday after a sensational entry of 135 horses from trainers throughout Queensland. Long-time stalwarts of Rockhampton racing, Terry Molloy and John Day who have lifetime associations with the Rockhampton's Tattersall's Race Club, were even more jovial after assessing the entries for the Tatt's Sprint. Their belief that the sprint is a mini Rockhampton Newmarket is accurate, given that 18 sprinters, many in the top-class provincial bracket have entered. These include leading Brisbane trainer Liam Birchley's Bitabiff, Darryl Hansen's Onalar, Mark Lehmann's Danzamonkey and Leanne Applewaite's King Hunter. Other visiting trainers with horses entered for “carnival start” are Toowoomba's Roger Milne, Kath Carroll and Allan Ross, Brisbane's Danny Bougoure, the Gold Coast's Keith Smith as well as Bill Abbey (Beerwah), Jason Dittman (Booval) and Caloundra's Carmel Richardson and Ray McCall. In what can only now be judged as an “overkill” by Queensland Racing Limited stewards, Rockhampton bookmaker Robert Crow has had a $1000 fine cut to a reprimand. 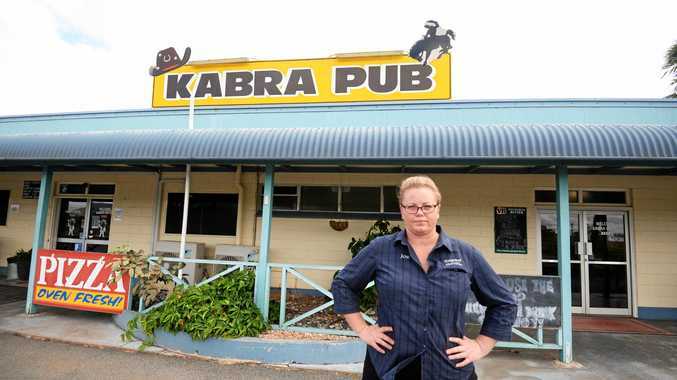 At a recent Rockhampton inquiry convened by steward Garry Meek, the bookmaker was fined $1000 for failing to have provided written authority for his long-time proxy Frances Bromley to operate in his absence at an Emerald race meeting in April. Stewards also fined Bromley $500 for operating Crow's stand without their permission by not providing an authority. Feeling aggrieved, given the circumstances and background history, Crow appealed to the Racing Appeals Authority. “Frances Bromley has worked as my proxy in my absence over a period of 10 years. I simply forgot to provide him with the letter for the stewards,” Crow said. “Also, I have not worked that particular Emerald race meeting over the two prior years as I had taken holidays which was the case again this year. Rockhampton jockey Dale Evans' appeal against an 18-months disqualification will be heard on June 22. Mackay jockey Dale Missen rides on a stay of proceedings after appealing a three-month ban over a positive test to a diuretic. The Emerald Jockey Club has a strong five-event card at Pioneer Park racecourse today where True General looks the safest bet.